"Our rule is to run for our lives"
Are environmental laws helping or hurting Uganda's riverine communities? 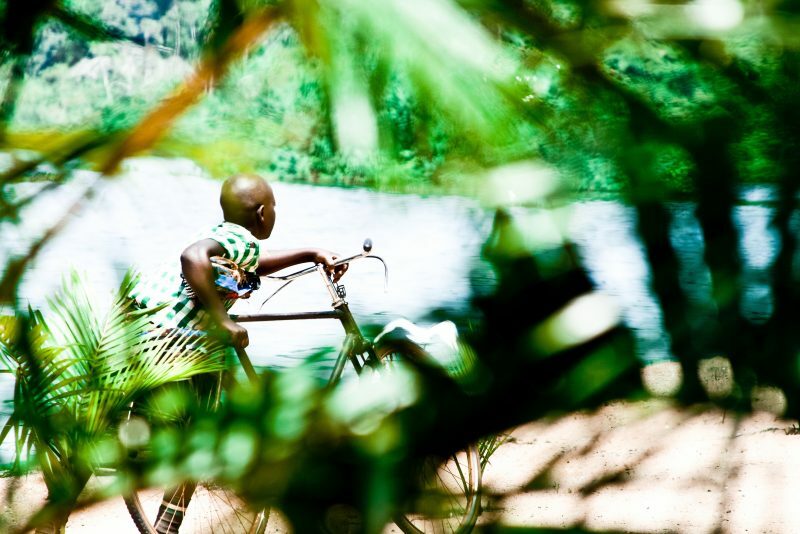 The Rwizi River in Western Uganda provides livelihoods for thousands of people who live along its banks: water for drinking and sanitation, plants and animals for harvesting and hunting, and mud and sand for construction. However, climate change and over-exploitation have left the river badly damaged and at risk of drying up completely. The government has introduced new rules to protect the river and those who depend on it, but many people have no choice but to break these laws in order to earn a living. Julian Barungi investigates. In a bid to understand the underlying causes of River Rwizi degradation and resultant effects on local livelihoods, my colleagues and I traveled to the river to talk with people who depend on it to earn a living, such as sand miners and brick-makers. 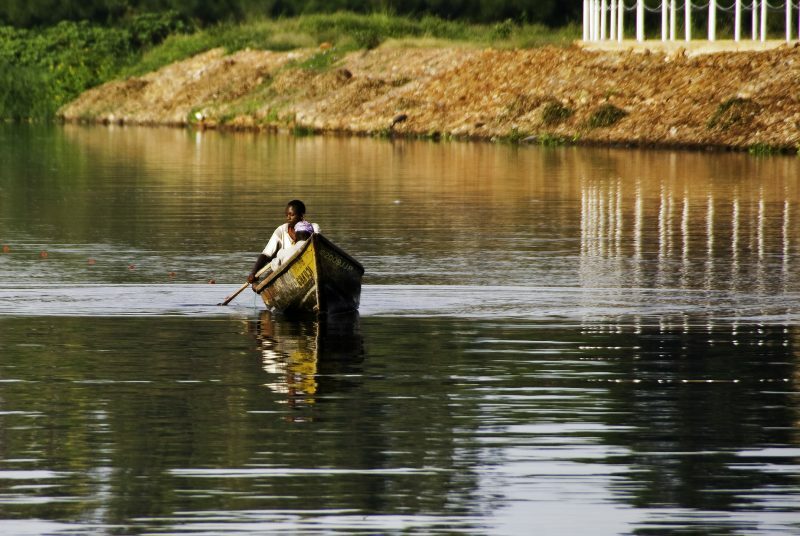 Poor and with few options for employment, for these workers the river is synonymous with life. Sand miners and brick makers argue that working the river banks allows them to feed their families, pay school fees for their children and obtain capital to invest in other small businesses such as agriculture. However, such benefits from the River Rwizi come at a cost. Arrests, confiscation and loss of property, imprisonment and payment of fines are the order of the day among brick makers and sand miners operating on the river. As such, brick makers and sand miners have devised “innovative” ways of survival. Much as sand miners and brick makers shudder at the sight of a police officer as they go about their activities in and around the river, they are not sure whether all the police officers that they are confronted with are genuine enforcement officers, or simply civilians in police uniforms trying to make a living on the fringes of the law - just like them. According to the National Environment Regulations (2000), the commercial exploitation of river banks and wetlands including sand mining and brick making is illegal without a permit - a permit that most we talked to said they simply could not afford. Workers without the proper certification can face fines of up to 3,000,000 shillings (800 USD) or 3 months imprisonment. Further complicating matters is the Environment Protection Police Unit itself, notoriously underfunded and sometimes unable to pay its officers. Clearly, the unit is currently unable to enforce the environmental laws effectively, allowing sand miners and bamboo harvesters to encroach the wetlands, and neither is it able to provide training or education in alternate livelihoods, leaving locals little choice but to flout the law. Furthermore, underpaid and overworked officers have an interest in maintaining the status quo of arrests, fines and bribes. To address this, the government has launched a River Rwizi Catchment Management Plan, supposedly developed by key stakeholders from all the 10 districts within the Rwizi catchment area. The plan spells out various strategies that the districts can implement in order to restore and protect the river catchment, while ensuring that communities can find sustainable jobs and livelihoods. But none of the workers we spoke to had heard of it. Is it possible that such a critical process missed out on the people most likely to be affected by the new plan? Or is it a case of elite representatives failing to collect their views and/or share feedback from the process? I am yet to find out. One thing is clear. In and around the Rwizi, land is scarce, populations are growing, and there are high levels of unemployment and poverty. People need income to survive, and if they feel that breaking environmental laws is their only option to feed themselves and their families, they won't hesitate. Therefore, if anyone is genuinely interested in protecting and restoring the integrity of River Rwizi, the voices of resource users must be amplified and their concerns taken into consideration - or, as we have seen, much-needed restoration efforts will continue to be undermined.